MAUS an SME software publishing and consultancy group continues to build and grow MAUS throughout Australia and around the world. 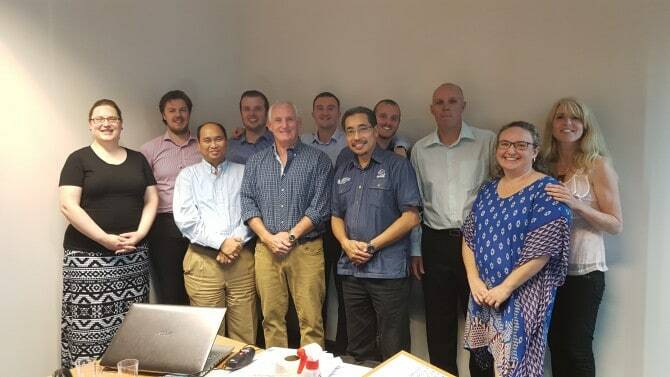 Having just completed our March training we would like to welcome Katie Hurst, Roza Bann, Shane Graham, Daniel Riddle, Bernadette Beach, Mohd Haither Hussin and Dean Hopping to the MAUS Network! Are you passionate about helping business owners achieve success? Do you want someone to provide you with hand holding, step by step instructions and mentoring? If you want to have one of the most respected brands in this area work with you and provide you with all the tips, secrets and best practices that we have learnt over the last 20 years. Don’t re-invent the wheel! Learn how to become a highly successful business consultant / coach just like our most recent graduates through the MAUS accredited training program.